Use broad angles and outward flowing silhouettes for a dramatic yet chic ensemble that garners the best type of attention. 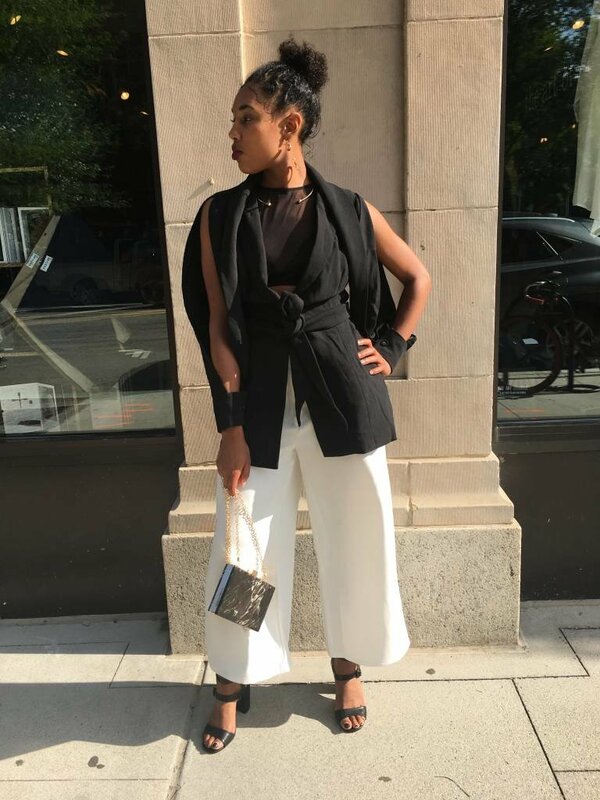 Culotte trouser pant with built in belt buckle. Chic and slimming with it's cropped cut, these are a summer staples are perfect for almost every occasion.